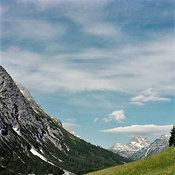 Between 2008 and 2013 I shot a series of landscapes from the Arlberg mountains in Austria around the villages of Lech and Zurs. 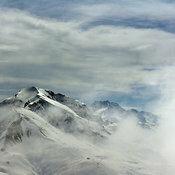 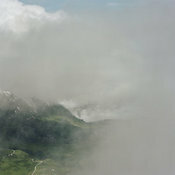 A book of the works,above the clouds will be published in September 2013 by Lecturis. 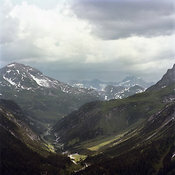 A permanent display of the works is on show at the Aurelio Hotel,Lech. 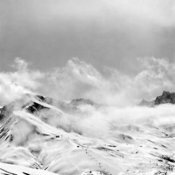 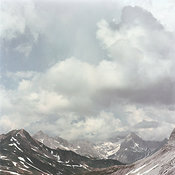 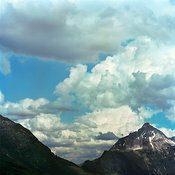 Above the Clouds documents Tims journey into the mountains above the villages of Lech and Zurs in Austria; his mountainscapes explore the fragile relationship between the natural world and those that venture within it. 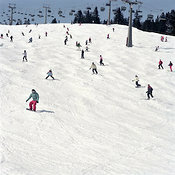 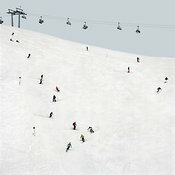 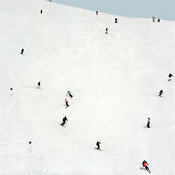 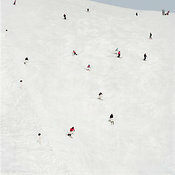 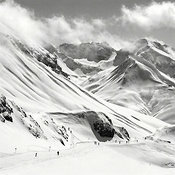 Tim has a longstanding affinity with the mountains of Europe, having skiied with his family from a young age. 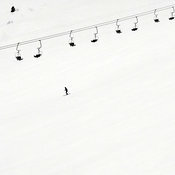 “Perhaps my motivation was based on nostalgia,” he says. 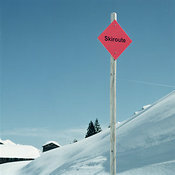 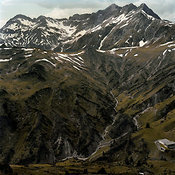 “I wanted to capture the sense of excitement and surrealness of seeing a place for the first time.” The Arlberg was unfamiliar to him when he arrived in 2008 but he was immediately struck by the grace and serenity of the scenery. 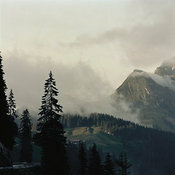 “I have tried to create a sense of the drama that you feel up in the mountains but also the quiet,” he says. 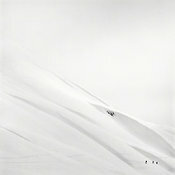 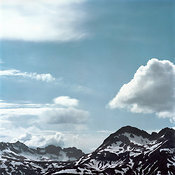 His compositions are thus simple – suggestive rather than specific. 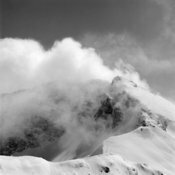 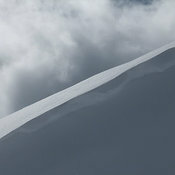 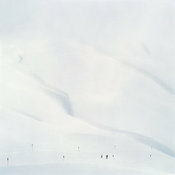 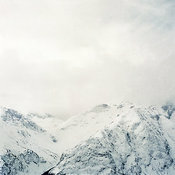 He uses a square format camera to allow as much space into the composition as possible, conveying the silence of high altitude and that feeling of solitude and trepidation that is felt on a ski tour or climb. 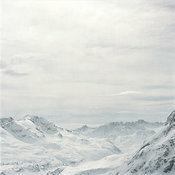 “I am a great believer that less visual information creates a more powerful impact,” says Hall. 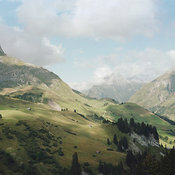 Tims choice of subject matter combined with the chosen moment to shoot , the camera format and his use of a particular film stock results in pictures that blur the line between photograph and painting , giving an elusive, Turner-esque feel. 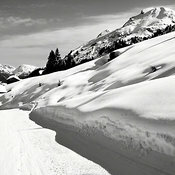 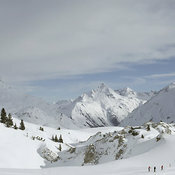 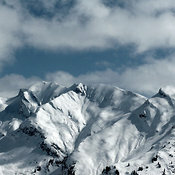 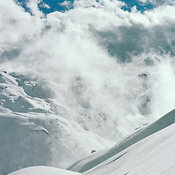 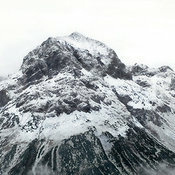 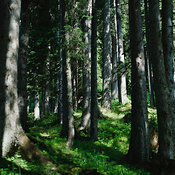 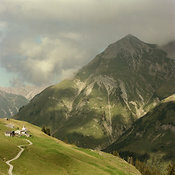 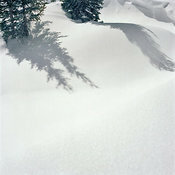 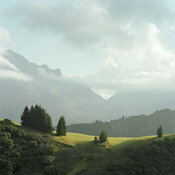 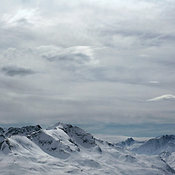 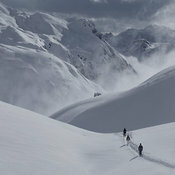 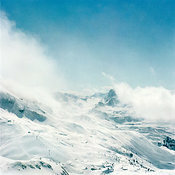 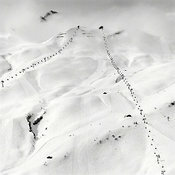 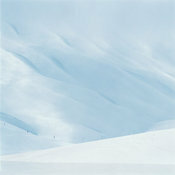 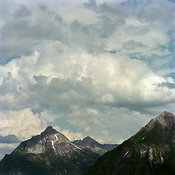 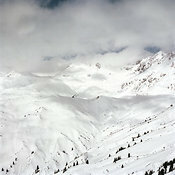 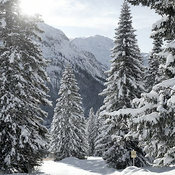 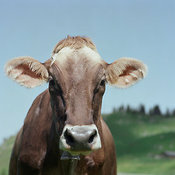 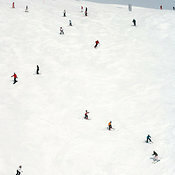 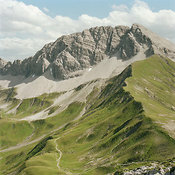 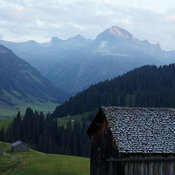 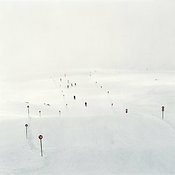 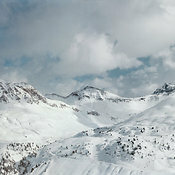 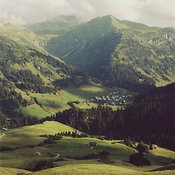 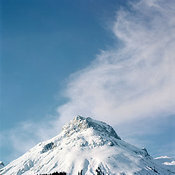 As Hubert Schwarzler, former head of tourism for Lech commented, Tim Hall simply paints with his camera.